My main goal is to not look like the women in the picture above, who I’m just realizing has the same coffee mug that I’m drinking out of right now… If that doesn’t highlight the effects of globalization… Mmmoving on. How I start my week. 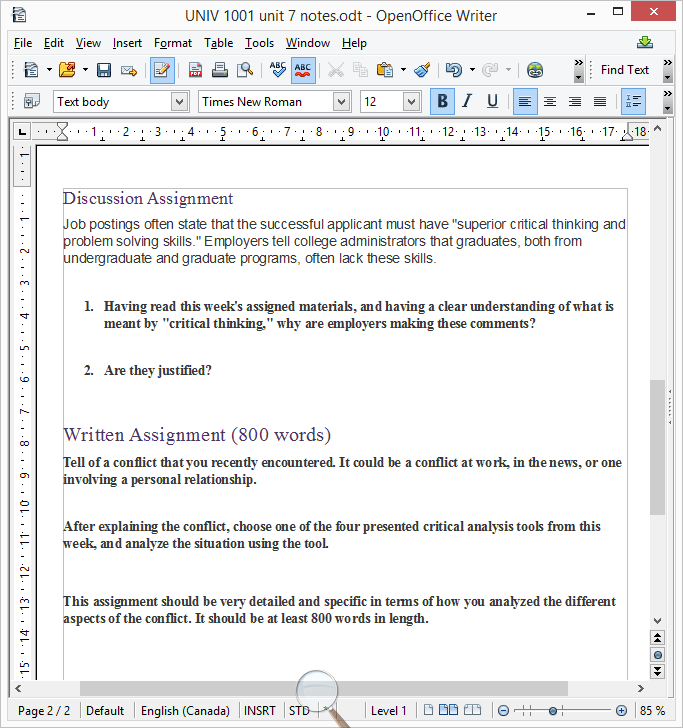 The very first thing I do, before I even sign on to my Moodle account (Moodle is the learning environment used at UoPeople) is open up my word processor, which is Apache Open Office 4 in my case. In my case, I happen to be taking 2 courses right now, so right away I click on “save as”. First click >file >save as. 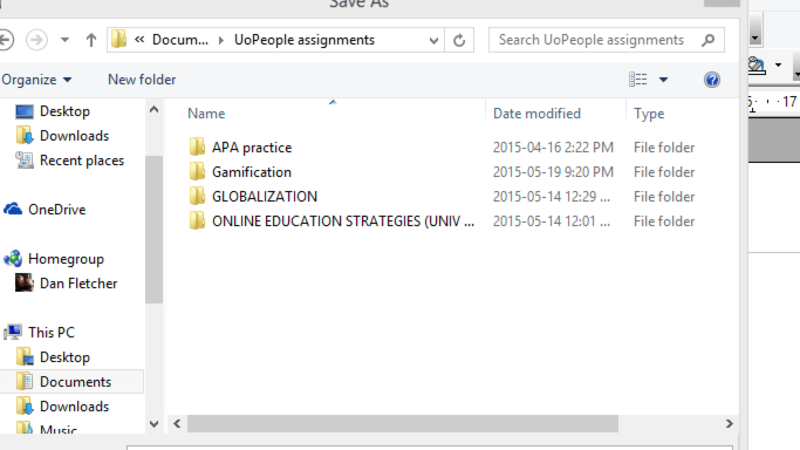 Here is what my directory for UoPeople assignments looks like. That screenshot is a little difficult to read, but basically what’s important is, I have 2 main directories, one for my course in GLOBALIZATION, and one for ONLINE EDUCATION STRATEGIES. 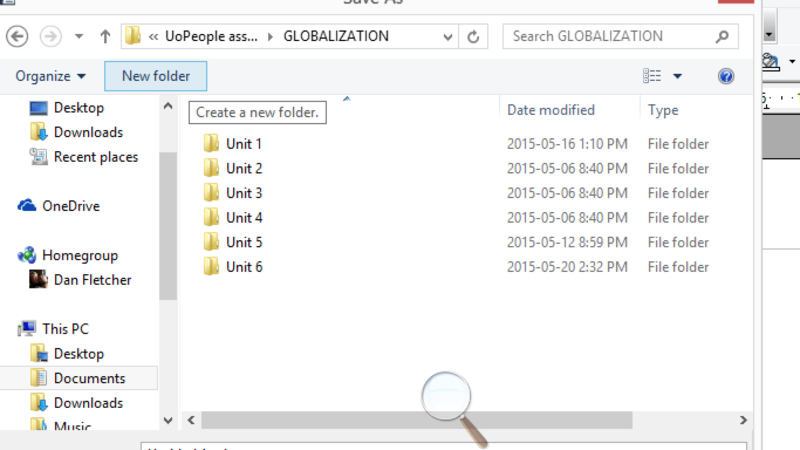 So I click GLOBALIZATION, then make a new folder called Unit 7. Once I make that directory, I click on it, and make a name for my document. Perfect! I have the document that I will take the majority of my notes in for this unit. 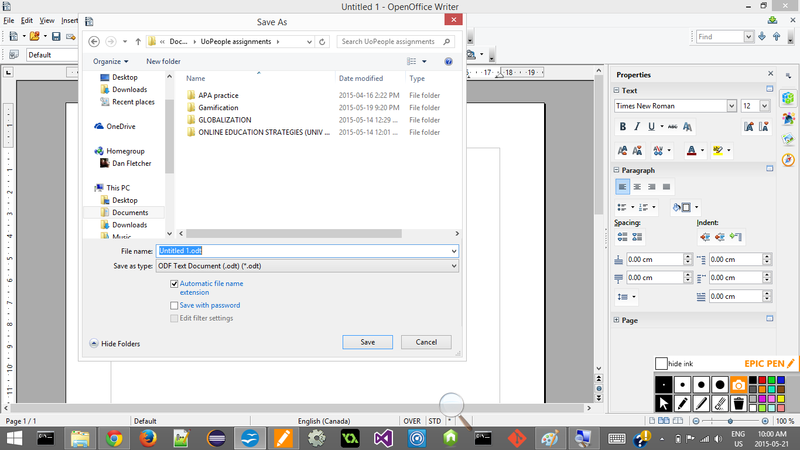 Now, I click; file> new> text document. Time to sign into Moodle! This is where I sign into my Moodle account and find out what my assignments are for the week. I also start taking notes right away, by writing down the learning objectives for the unit, assignment questions, and a task list. 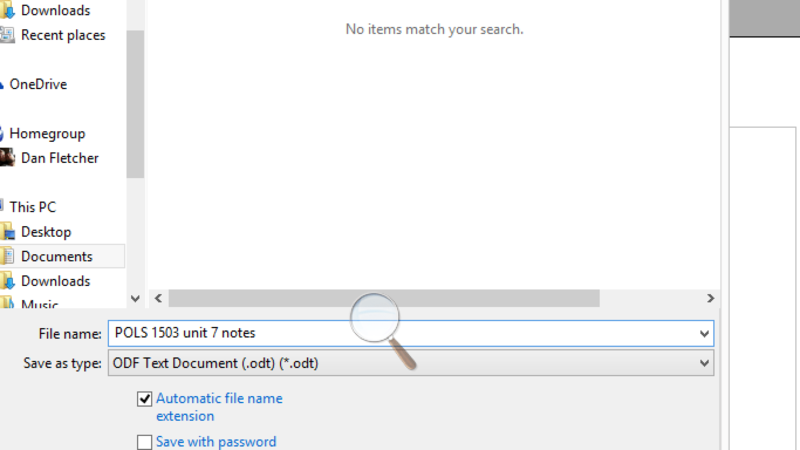 So once I have Moodle open in my web browser, I snap the window to my left, by clicking the top of the window and dragging all of the way to the left (on Windows – sorry Mac). Then I do the same to my text document, but to the right. 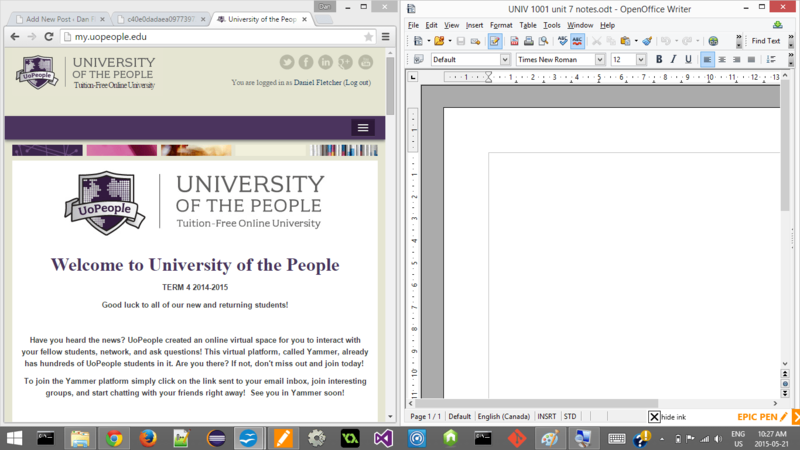 The window should look like this image below, with UoPeople on the left, and Open Office on the right. Now I open up one of my courses (in Moodle), I’ll just do UNIV 1001, but the order doesn’t matter. I scroll down to the current unit, which is 7 right now. 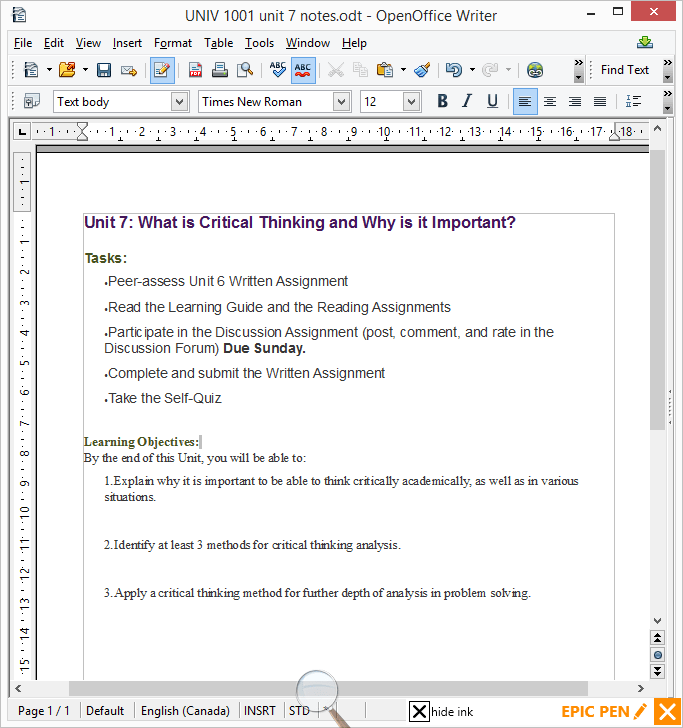 I copy and paste the title of the unit into my word document. Now, I click on the announcements for this unit (found at the top of the page), to find out if there is any important news about this week. If there is I take note of it in my notes. 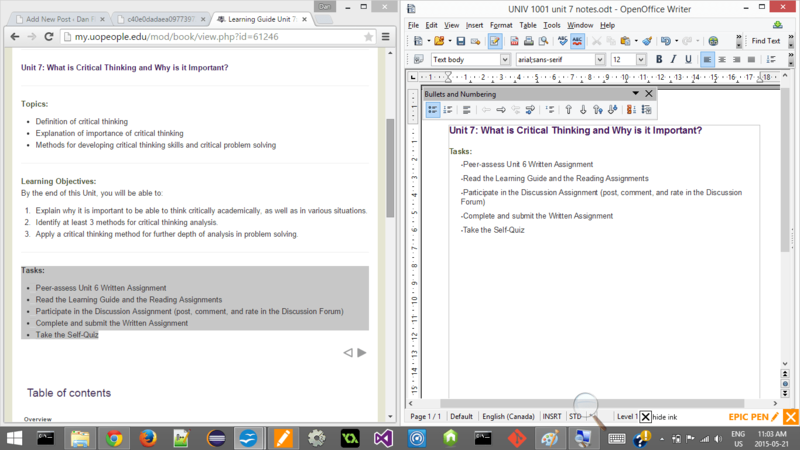 Next I go back to the “general page” for the course, scroll back to the unit I’m on and click on the Learning Guide. This is where everything for the unit is layed out. There is a task list of everything that has to be done, your reading assignment, and often a short introduction to the main topic of the unit. 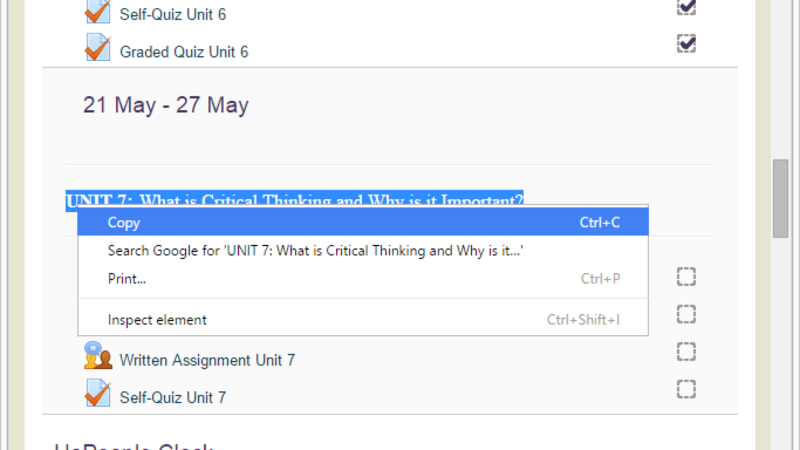 This is also where all of the questions for each assignment will be, along with the learning objectives for the unit. First thing I do after opening the Learning Guide is copy and paste the task list into my notes, and bring the font size up to 12 or so. As I progress through the unit, I’ll highlight items on this list to indicate that they have been completed. This is also where I will add due dates if they apply. Discussion assignments for example, are recommended to be done by Sunday, so I’ll write that down. Next, I copy and paste the Learning Objectives into my notes. This is such a crucial step to my method, as it gives me questions to reflect on as I go through my reading material. My goal, aside from just completing assignments, is to answer the Learning Objectives in my own words. This really enforces the concepts in the material, and in the long run it means less review for tests, which equates to less time spent studying. My notes now look like this. After that, I click next, and read the introduction for the unit. This helps prime my brain for the questions I should be thinking about while completing the unit. Click next again, and I’m brought to the reading assignment. For now, I just open up the links to get an idea of how much reading I have, and how dense the material is. Usually I plan to spend 10 hours for reading/note taking, and then the remaining 5 hours is taking my notes and rough drafts, and turning them into the final copies of my assignments. Click next again, and I’m brought to my first assignment. Not every unit is the same, sometimes there are many assignments, and sometimes just a couple. Today the first assignment in the Learning Journal is the discussion assignment. So I skim the questions to help prime my brain, and then copy and paste them over into my notes. 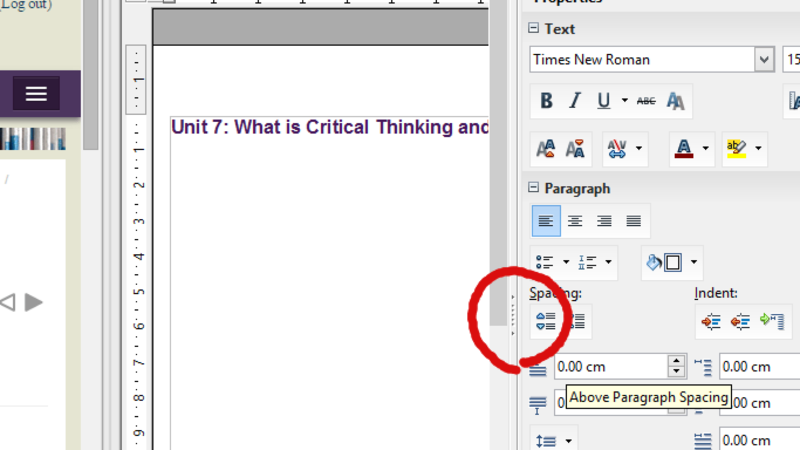 Click next again, and now I’m presented with a written assignment. I just keep skimming the assignment questions, and then copy and pasting them until all of the assignments are in my notes, and my screen looks like this. In the case of this unit, there is no more for me to copy and paste into my notes, but sometimes there is what’s called a Learning Journal assignment, which is basically a less formal written assignment. Now, I just repeat the above steps for my other course. After I have all of this done, I then assess which course I’d like to tackle first. I will usually ask myself if the material in one course will help me in the other, if so, that’s the one I start with. When I begin reading the material, I’m using note taking strategies that I’m not including in this tutorial, but I’m also keeping the assignment questions in mind. By doing this I often have most of a rough draft finished by the time I get through the readings. This means I don’t have to re-read material as often, saving me a lot of time. I hope this has helped you in your efforts for time management here at UoPeople, if you have any of your own suggestions on how I can improve this tutorial, please leave a comment below! 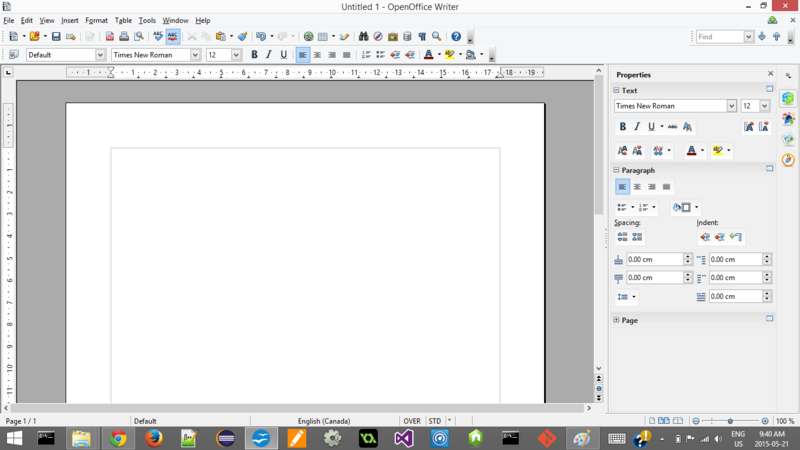 Hello Dan I am interested in UoP, could you send me the first class, univ 1001, in PDFs? Hi, glad you’re interested! I’m not sure if I’m authorized to do that – but I can give you a few links and let you know what the course is about. The first unit, is about getting to know the school, getting familiar with the learning environment (Moodle), and school policies. When I took it last year, the first assignment was a scavenger hunt. You’re asked to find different information pertaining to the school. You will also learn about plagiarism, and how to avoid it, you’ll learn how to validate information you find for your papers, and you’ll learn about resources for finding academic journals, and how to use the open source library available at UoPeople. There are many many resources for this course. It’s built up from a lot of different online sources, unlike other courses which usually have a main text book. So it’s very difficult to show you all of the content in the course. However the contents of this UNIV 1001 is crucial. If you plan to study at UoPeople, you should plan to focus a lot of your time and energy on it. The skills and strategies you learn from this course are going to be needed for the next 4 years and onward. Previous Previous post: Video Games – Why Do We Play Them? Next Next post: UoPeople – Week 8 – 2nd Term Around the Corner!